Cleanrooms are designed to provide a controlled environment, prevent product contamination and protect operators. 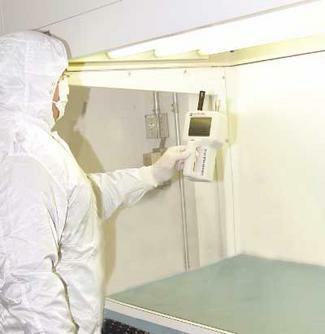 It is essential therefore that cleanroom performance is revalidated within set time periods to verify correct operation and where necessary make remedial adjustments. All work is conducted in accordance with inhouse procedures and relevant codes and standards including ISO 14644 and IEST Guidelines. Instrumentation and equipment calibrated to high standard. Please do not hesitate to contact Airflow if you have any questions or require more information. We gladly advice you!